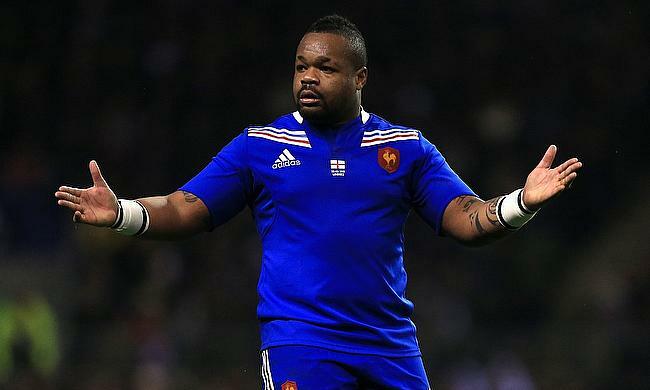 Experienced centre Mathieu Bastareaud returns to the starting line-up after he was omitted for the opening game against Wales with Romain Ntamack dropping to the bench and he will partner with Geoffrey Doumayrou at inside centre with Wesley Fofana dropping out of the matchday squad after suffering a thigh injury. Yoann Huget who started at left wing against Wales is slotted at fullback with Maxime Medard omitted while Gael Fickou gains a promotion to take the place of the former. Morgan Parra and Camille Lopez are retained at scrum-half and fly-half respectively while Uini Atonio's place at loosehead prop has been taken by Demba Bamba. Felix Lambey gains promotion and swaps places with Paul Willemse at lock while the final change sees Yacouba Camara returns at blindside flanker at the expense of Wenceslas Lauret. France starting line-up: Yoann Huget, Damian Penaud, Mathieu Bastareaud, Geoffrey Doumayrou, Gael Fickou, Camille Lopez, Morgan Parra; Jefferson Poirot, Guilhem Guirado (c), Demba Bamba; Sebastien Vahaamahina, Felix Lambey; Yacouba Camara, Arthur Iturria, Louis Picamoles.